Apollo is a spike or surface-mount spotlight primarily designed for energy-saving uplighting of trees. E94070W is a surface-mount spotlight with a 60 degree beam angle essentially designed for energy-saving uplighting of trees. Apollo has an adjustable stirrup bracket for mounting on walls or an optional ground spike. The lens has "through-flow" slots to allow water to flow off the lens even if pointed directly upward or fitted with a glare shield. 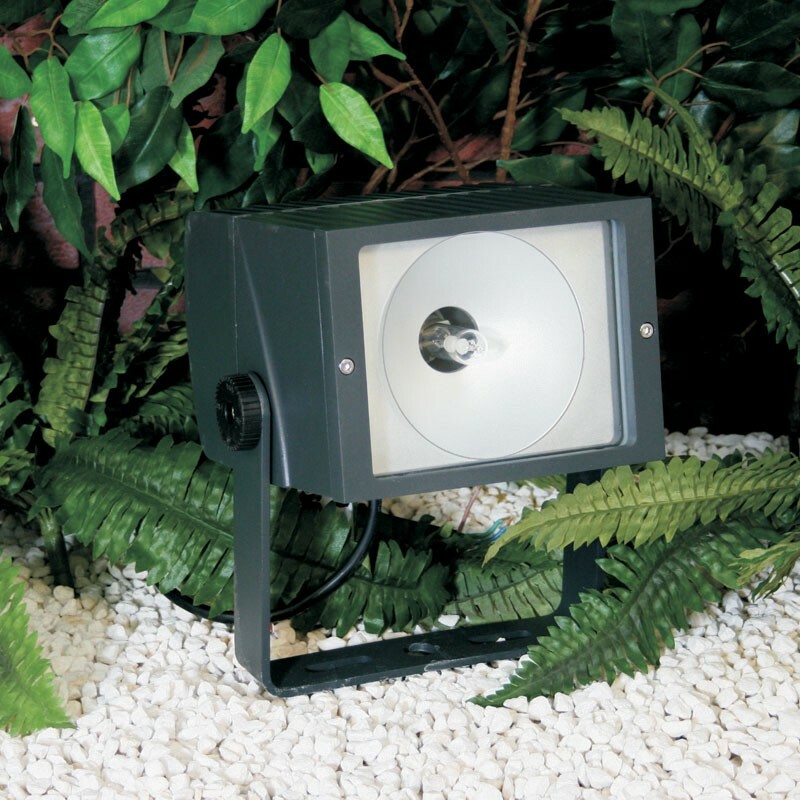 It uses a 70 watt single-ended metal halide lamp (Order lamps separately) and polished reflector to project a 60 degree symmetric circular beam for uplighting larger trees: the central 60 degree beam is ideal for uplighting from beneath and is complemented by peripheral light spread for coverage of canopies. Where the shape of the tree falls within a 40-60 degree arc, use E94070W to cover up to 15m high, subject to density & colour of canopy & structure: perception of brightness varies between different people. Where the outer canopy is dense and the inner canopy & structure is more open, uplight the central trunk & branches with one Apollo 36 degree spotlight and position other Apollo spotlights to illuminate the outer canopy. Look up through the tree you propose to light - if you can see up through the branches, then light will penetrate the canopy and structure as well. If not, use uplights to light the tree externally. Lighting large trees is a black art: test the position of uplights with a temporary wiring set-up before final installation. Lighting of trees with very open canopy may be brighter than desired - consider Apollo35 35w metal halide spotlights or Elipta halogen spotlights with Powersaver 50w lamps as a lower power alternative.